The stage-top incubator provides heating from ambient temperature, ie 22 degrees - 60 degrees Celsius with carbon dioxide regulation. 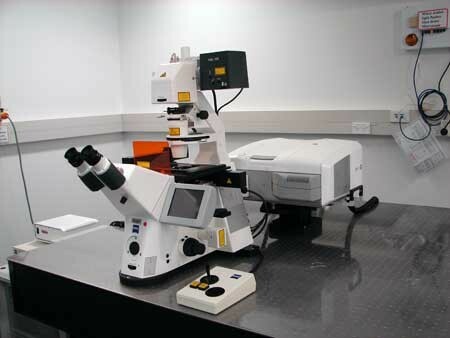 The incubation system is controllable via the microscope's TFT interface. A number of stage inserts are available including Petri dish, 6 well plate, 12 well plate, 48 well plate and 96 well plate. A holder for chamber slides is also provided. 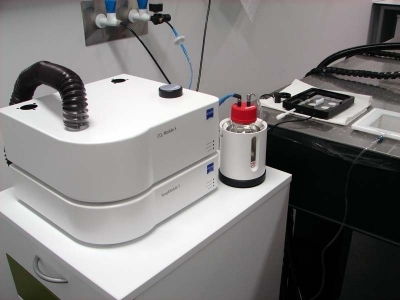 There are objective heaters for the 40x/1.1 NA water immersion objective and the 63x/1.4 NA oil immersion objective. Objective heaters are not required for dry objective lenses. What heating insert can I use?